Whatever your needs we will cater for them to ensure your trip to Swaziland is a memorable one. 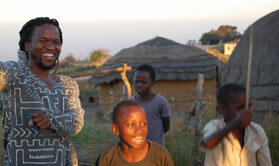 Our main focus is introducing visitors to the real people of Swaziland. We don't introduce you to actors who perform for you. Instead we take you behind the scenes. 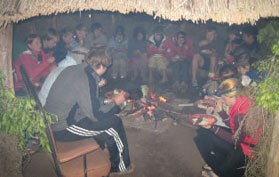 Visit a genuine Swazi Village, See the true culture of Swaziland, Eat and converse with real Swazi's. For the more hardy, especially those who are backpacking in Swaziland we also offer accommodation Swazi style, where you will sleep in traditional Swazi beehive huts on a grass mat. (for the softies we will provide mattresses). In Manzini,we pick you up at 7.30am. Visit the Manzini people’s market. Craft and fresh vegetable shopping. Check the traditional medicine stall for local cures for all ailments. 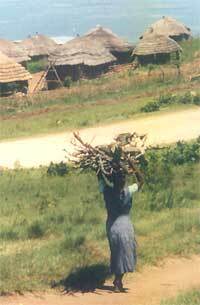 Leave town and head for rural village of Kaphunga, learn about Swazi family life and culture. Get a taste of some Swazi customs and traditional beliefs. Take an easy walk towards the God’s window of Kaphunga. Chill out with a bit of lizard spotting on the rocks on your guided walk. Transport to the village. Visit a local homestead and chat with the family members. Meet and befriend the villagers. Try your hand at cattle dipping. Picnic on a mountain top. Swazi traditional food is cooked and clean boiled water is available. Liphupho Lami Holiday Camp is situated in the hills of Swaziland on the Community Farm of Kaphunga, about 65 kms from the nearest town, Manzini. The 4000 acres of farmland belong to the local community and provide food for local consumption and surplus for sale at the national markets. I started running this project several years ago and a lot of changes have taken place but only for the better - that I can sincerely say! For example, our people are still happy about visitors and the visitors always get surprised with how our people welcome them, our peoples' friendliness and hospitality (not just for the money) and visitors can walk out without being hassled.